It is undeniable that Porsche is one of the most well-built vehicle models in the market today. However, these cars are not immune to problems. One common problem that many Porsche owners have complained about is the failure of the MAF sensor. The MAF sensor, or mass flow sensor as it is sometimes referred to, is a sensor whose role is to determine the mass flow of air that enters into the combustion chamber of an engine, which then combines with the injected fuel to burn completely. The amount of air that is allowed into the engine is measured in order to determine how much of the fuel needs to be introduced into the engine for efficient fuel combustion. The computerized sensor consistently functions as long as the engine is running to ensure that the fuel to air ratio in the combustion chamber is kept at optimum. This is done by directing the fuel injectors to increase or decrease the amount of fuel that’s allowed into the combustion chamber. The most common cause of MAF sensor failure in the Porsche is clogging. Over a period of time, the oil, dirt and dust that finds its way into the sensor causes contamination. As this happens little by little, these external elements get deposited in the sensor, blocking it from performing its tasks effectively. Electronic failures can also cause failure of the sensor since it is powered by the car’s computer. Because of the failure of the sensor to regulate the air to fuel ratio in the combustion chamber, the engine will end up running roughly, especially when it’s idling. As a result of the poor communication between the car’s computer and the MAF sensor regarding the amount of fuel that needs to be injected into the combustion chamber, the irregular amount of fuel that is injected alters the normal fuel consumption of your car. Your car will consume more fuel to cover distances that it would regularly cover for much less. Moreover, if the correct amount of fuel is injected but the amount of air is less than what is recommended, complete combustion will not take place and some fuel will exit the chamber without burning completely. This causes wastage of fuel. 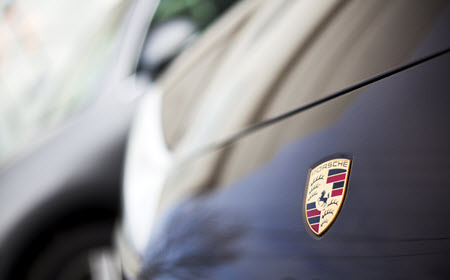 If the engine in your Porsche hesitates when you try to accelerate, causing the car to merely jerk forward but not pick up speed immediately, your MAF sensor may be broken. The jerking movement is a result of the improper ratio of air and fuel mixing in the combustion chamber. This light comes on for a number of reasons, all of which are associated with the functionality of the engine. In case of a bad MAF sensor, this light will come on as a result of the lack of correlation in the air to fuel ratios in the combustion chamber. This will give your mechanic either a “running lean” or “running rich” code. Occasionally, your car’s engine may start as usual then come to a stop after covering a short distance, prompting you to have to restart the car. This is yet another effect of a poorly functioning MAF sensor. A MAF sensor is one of those car parts that cannot be fixed and will generally have to be replaced as soon as they start to act up. As soon as you experience any of the symptoms that are brought on by the failure of the sensor, you should get your car checked out by a professional mechanic. Being a luxury brand, you should insist on an experienced and licensed mechanic to diagnose and replace your MAF sensor. This will help you avoid situations where further complications arise from poor workmanship or worse, poor quality or incompatible replacement parts. Revolution Automotive Services is well able to provide quality services to all Porsche owners in Norwood, Westwood, Walpole, Sharon, Canton, Medfield, Needham, Dover, and Boston, MA. We have made it our business to ensure that servicing and repairs are easy and convenient. If you’re experiencing issues with your MAF sensor, give us a call and we’ll take it from there.